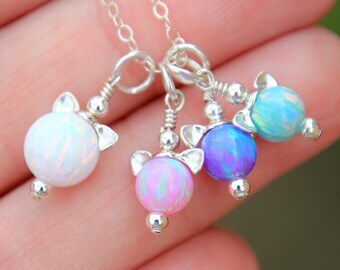 A beautiful dainty opal necklace! Great for everyday wear! 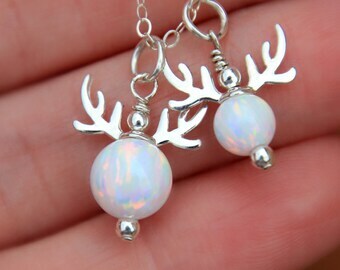 I have my opals made especially for my shop with my specifications, so you will not find them anywhere else! 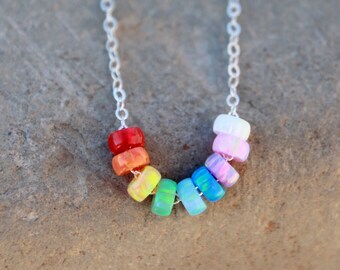 ♥THESE CAN ALSO BE MADE INTO BRACELETS OR ANKLETS! 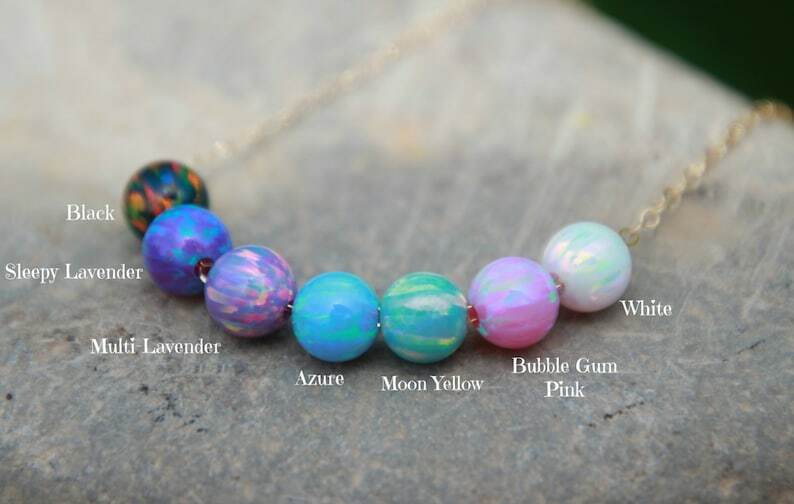 If you would prefer a bracelet or anklet, please message me for a discounted price. I bought this necklace a year ago and wore it as my everyday necklace for a whole year until just recently when I broke it (it got snagged on something and I didn't notice until it was too late). I was so devastated that I immediately ordered another one. 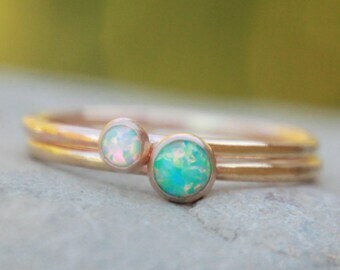 I was tempted to pick out a different color opal, but I just knew I would miss the white opal if I didn't get it again--that and I also have a matching ring from this shop. Happy to report that it's the same amazing quality! I get so many compliments on it and I can't recommend it enough. Thank you! I love this. Dainty and beautiful. I love it!! !